Everyone wants his or her wedding to be perfect. Thus, all minute details are dealt with months before the wedding day. 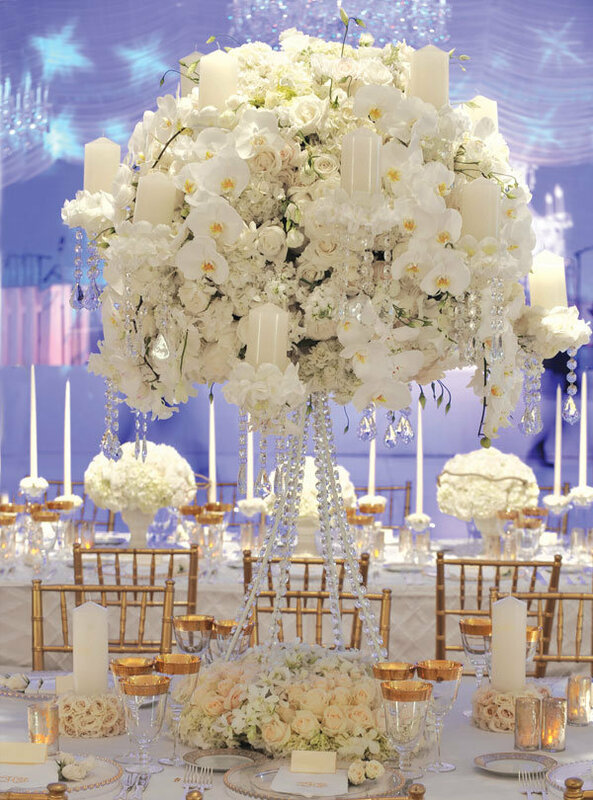 One of the most important things to be taken care of for a wedding is the wedding flowers. Florists have various flowers for weddings. Therefore, choosing wedding flowers can be somewhat difficult. There are some flowers that are commonly chosen for weddings. These wedding flowers are mentioned below. Many people prefer roses for wedding bouquets. This is because roses are the symbol of love and beauty. Although there are many varieties of roses, only three varieties are suitable for weddings. These include the hybrid tea rose, the spray rose and the garden rose. As roses come in so many colors, they can make a really beautiful bouquet. Contrary to what many people believe, Tulips are actually native to Persia. They symbolize consuming love. They come in various colors including pink, peach, red, white and purple. Tulips are available throughout the year and the common varieties are quite affordable. They look good in bouquets, centerpieces and boutonnieres. Three varieties of tulips are commonly used for weddings. These are: Dutch tulips, French tulips and parrot tulips. Calla lilies denote magnificent beauty. Two varieties of calla lilies are available. One of them is the larger trumpet variety, which is quite suitable for tall arrangements. The other is the miniature variety, which is suitable for boutonnieres and nosegays. Although they come in different colors, creamy ivory calla lilies are commonly used for weddings. They are big in size and symbolize vanity. These flowers can be found in white, pink, purple, blue and green. Their color changes according to the acidity level of the soil in which they are grown. They have become quite popular as wedding flowers these days due to the trend of boldness. Hydrangeas generally look good in wedding bouquets and boutonnieres. Moreover, only a stem or two is enough to fill bouquets and arrangements. Gardenias denote love and purity. Moreover, they have a very nice scent. 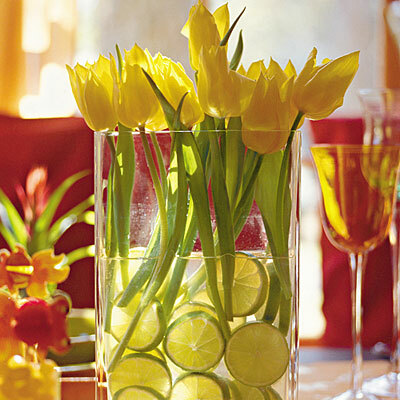 They also look lovely in bouquets and in centerpieces. However, they are more expensive than many other wedding flowers. They are also quite delicate and bruise easily. 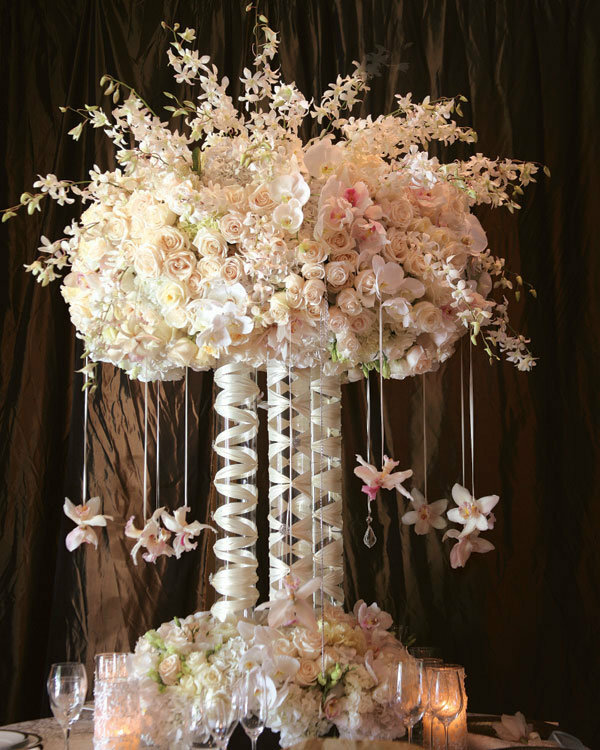 With their unique tropical beauty, orchids can add elegance to any wedding. Moreover, they look great in wedding decorations and bridal bouquets. They can also be used for creating great bridal hairstyles as they make fantastic hair accessories. Orchids are quite suitable for summer weddings due to their resistance to heat and dehydration. Peonies are brightly colored and strongly perfumed due to which, they look quite nice in wedding decorations and bouquets. They can be either used alone or with other flowers. Besides, it takes only 4 or 5 peonies to make a bouquet due to the large size of the blooms. They are seasonal in nature and are available from late spring to early summer. Stephanotises are small white flowers that denote marital happiness. 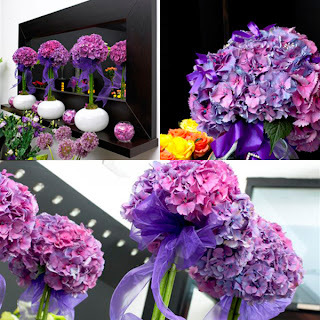 Due to this, they are quite suitable as wedding flowers. 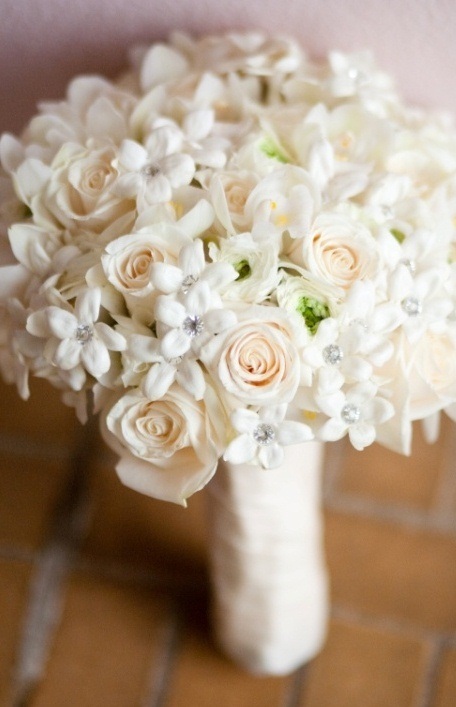 Traditional brides carry bouquets of stephanotises and stephanotis boutonnieres are a must for formal weddings.